Meet my new favourite summer recipe... 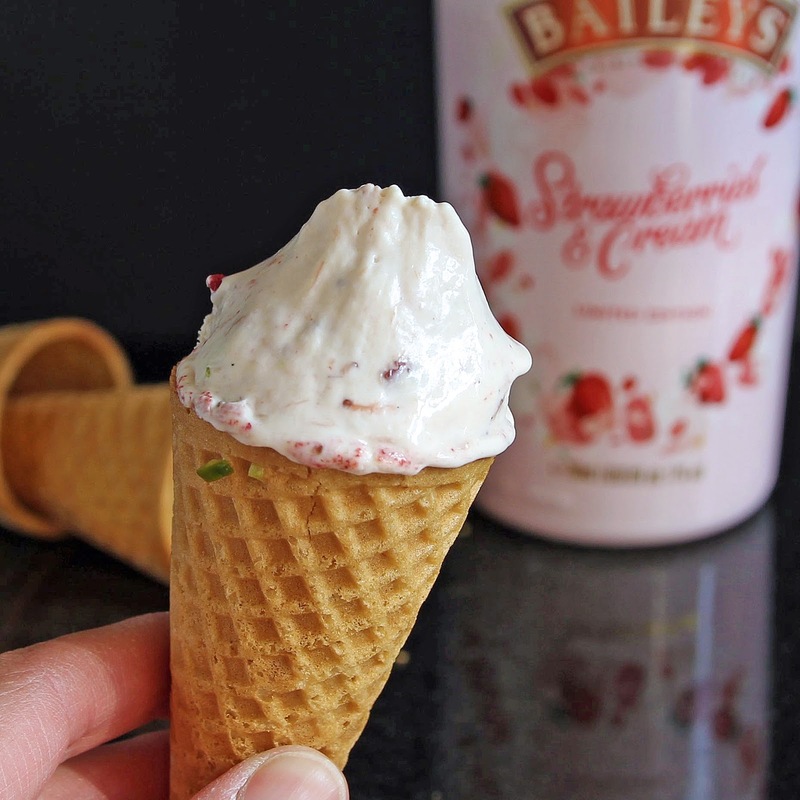 Strawberry Baileys Ice Cream. It's incredibly creamy, very grown-up and best of all, it's no churn. It's exactly what we need right now with the UK heat wave. I mean... can you believe the weather we are having this year? It's just incredible! I know that hot weather isn't everyone's cup of tea, but I absolutely thrive in it. Maybe it's my Italian roots filtering through, but I can't get enough of the feeling of warmth on my skin and being able to wear shorts and sunglasses. I always feel so much better for the vitamin D boost that sunshine gives and the energy top up that allows me to dust off my bike and cycle down the coastal wall... sea on one side... beach huts on the other. As for ice cream... to be honest, I can (and do) eat it all year round, but the summer heat gives its enjoyment that extra appeal. 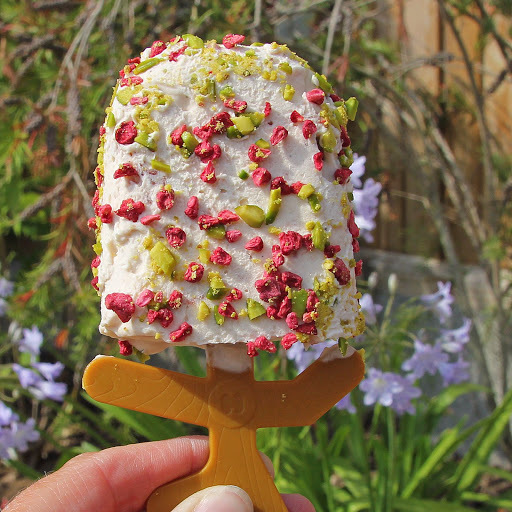 Summer ice cream deserves an extra wow factor, whether in flavour, sprinkles or chocolate coating. It also needs to be easy to make, because it's way too hot to be in the kitchen... so this no churn ice cream is absolutely perfect. 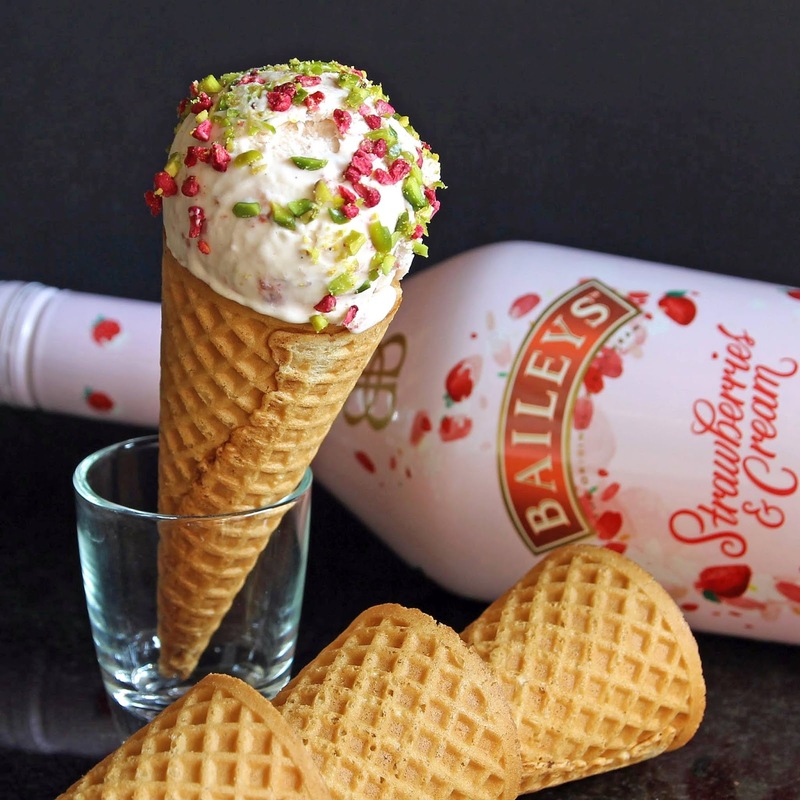 If you haven't come across Strawberry Baileys yet, it is rather lush, although I think you may find you need quite a sweet tooth to enjoy it neat. On the other hand, it makes the most incredible ice cream, especially when mixed with some roasted strawberries (which I found lurking in the freezer from last year). Strangely, despite a very hefty slug of Strawberry Baileys, it doesn't taste that alcoholic (although there is a hint of 'burn' as Miss GF calls it), but be warned... that makes it even more dangerous. 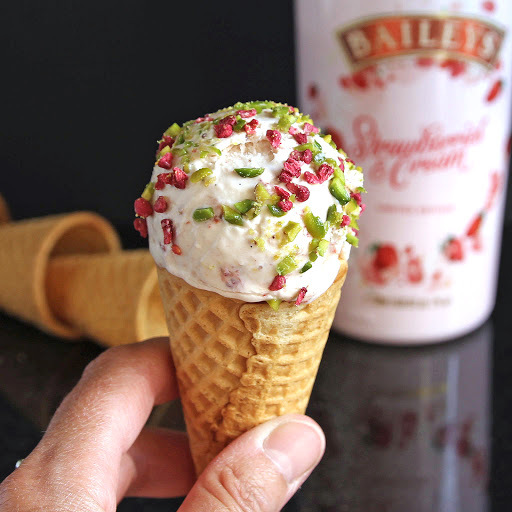 It remains a very adult ice cream and while you may be tempted to eat the whole batch in one hit straight out of the tub, you may seriously regret that you were that uncontrolled. 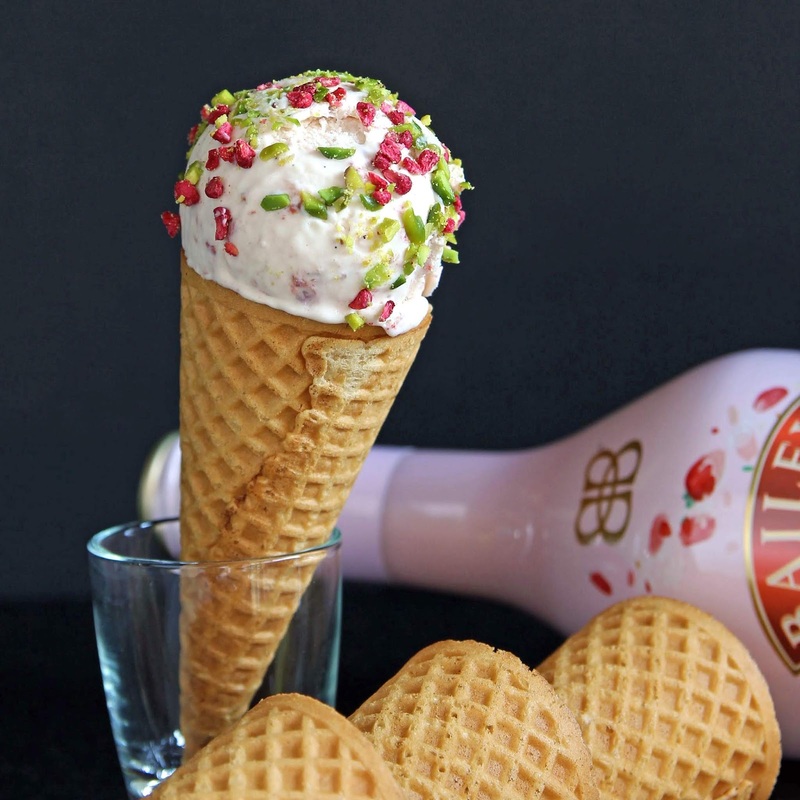 This recipe makes just over a litre, but since I was stupid enough to pour the batter into a tub which was too small, I also made a few ice cream lollies... cute and perfectly portioned! 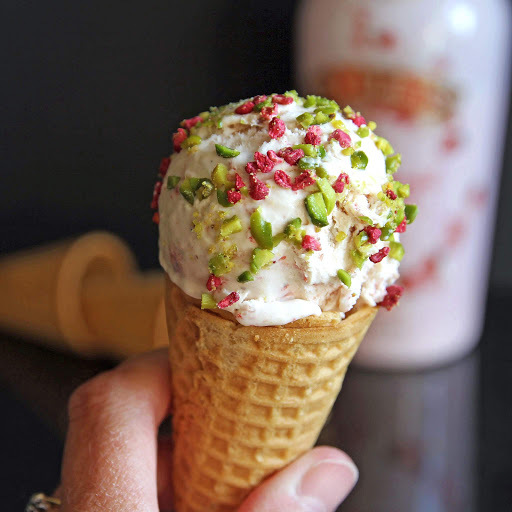 Whether in a cone or a bowl, this ice cream it seems, pairs perfectly with a sprinkling of chopped Iranian pistachios and some freeze-dried strawberries or raspberries. 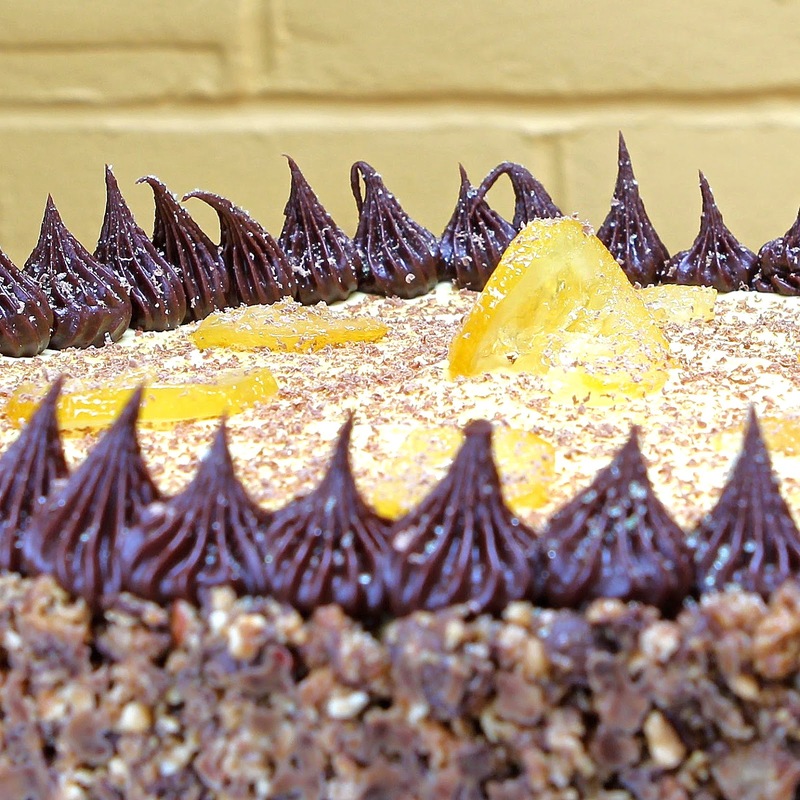 Let's face it... a bit of fruit and nut bling makes everything prettier too. 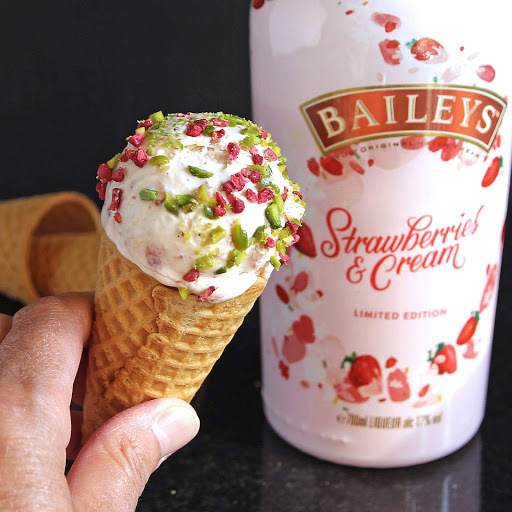 Either way... you HAVE to try this.... it's incredible.... and being somewhat hooked on no churn ice creams that have a spirit twist right now, I am already dreaming up the next treat.... What do you think I should try? Place the tin of condensed milk in the fridge to chill (preferably overnight). To make the Roasted Strawberries : Place the cut strawberries in a roasting dish and sprinkle with the sugar. Leave to stand at room temperature for about 45 minutes. Stir the strawberries through, before roasting in the oven for 45 to 60 minutes. Stir intermittently. The strawberries are done when the juice has thickened into a syrup. Remove from the oven and cool completely. Once cool, crush the fruit with the back of a fork. You should now have approx 200 ml sticky strawberry pulp. For the Ice Cream : In a large bowl, mix the strawberry pulp with the chilled condensed milk and keep cold in the fridge. In a separate bowl, whip the double cream and vanilla paste until it holds its shape in soft peaks. Set the whisk aside (you will need again shortly). Add a tablespoonful of whipped cream to the condensed milk mixture to loosen. Add the rest of the whipped cream to the condensed milk-strawberry mixture and fold through until evenly combined. Add and fold in the Strawberry Baileys about 60 ml at a time, tasting the batter as you go to check that you are happy with the flavour intensity. The batter will have loosened slightly, so whisk again to thicken until it starts to hold its shape. Transfer the ice cream batter to a suitable airtight freezer container and freeze for several hours until firm. Who doesn't love a cute, jam-filled Thumbprint Cookie? They are irresistible little mouthfuls of joy. There is something about these crunchy, sugar-coated baskets of gooey jamminess, which leaves me dipping my hand in the biscuit tin like a mechanical grab truck on a mission. Perhaps it's the deliciously tantalising contrast in textures between the filling and its edible vessel... Perhaps it's the teasing fun in nibbling round the edges and saving the centre-piece until the end... Perhaps it's the pull of popping the whole thing into the mouth at once and allowing the biscuit to crumble and melt, leaving a fruity, jammy chewiness. All of these are my favourite ways to eat them... what would yours be? Whatever it is, I really struck lucky with this recipe. 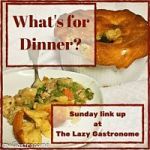 Usually, I make a recipe three or four times, tweaking and amending to get it as good as I can, before posting it on the blog. Not with these! Somehow, when I threw my ingredients in the bowl and started to stir, the cookie gods were with me... willing my bowl of batter to a perfect consistency and my finished bake to a perfect crumb. Just one attempt and these babies were spot-on delicious. Even the jam stayed put and despite dolloping a rather generous spoonful into each 'pond' prior to baking, didn't boil and bubble itself over the edge. 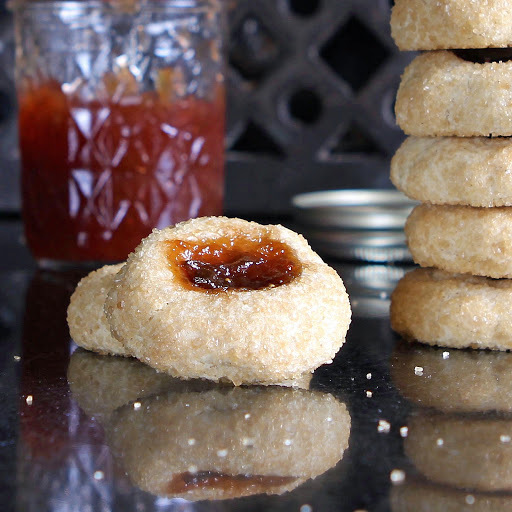 The making of these Jammy Thumbprint Cookies treated me to alchemist success. I have previously made and shared a very different thumbprint cookie recipe on Gluten Free Alchemist... A Nutella-filled chocolate-hazelnut cookie, which was just divine. You could of course fill these latest thumbprints with puddles of Nutella and if you want a healthier (and tastier) set of ingredients than the commercial version, it is incredibly easy to make your own Chocolate-Hazelnut Spread. On the other hand, I decided these thumbprints would be rather delectable with my home-made easy Rhubarb, Strawberry & Cointreau Jam. I was right too! 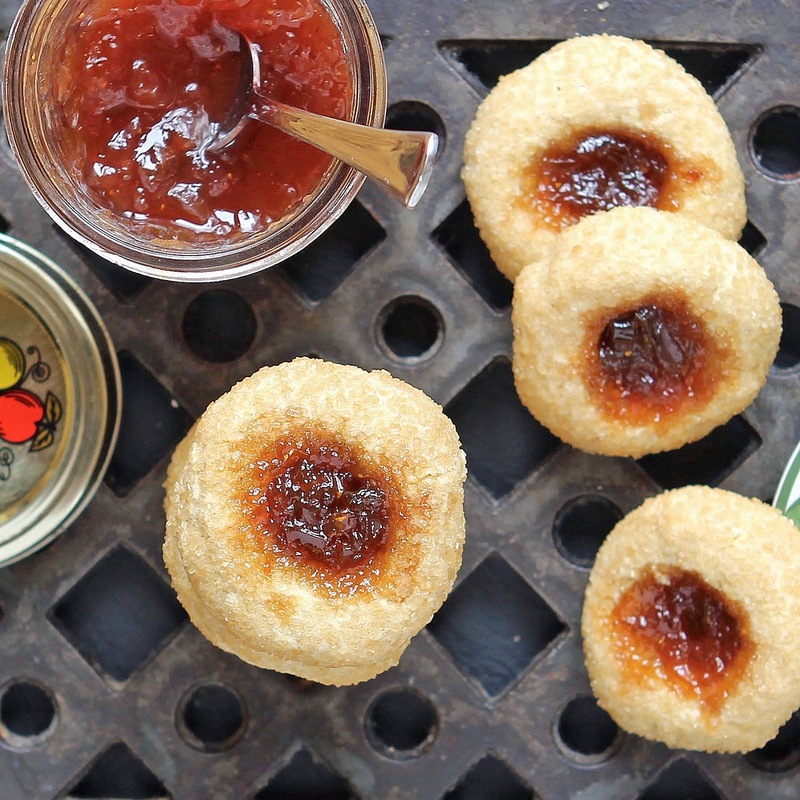 The sweet crunchiness of the cookie is perfectly offset by the slightly marmalade-bitter fruitiness of the jam. If you don't believe me, then give them a try. They are so quick to make, there really is no excuse! Pre-heat the oven to 170 C/325 F/Gas 3 and base-line two baking trays with baking paper. In a large bowl, cream together the butter and icing sugar until pale and fluffy. 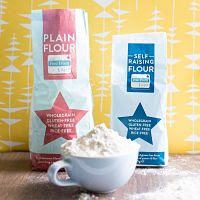 Mix together the flours, xanthan gum and salt in an airtight container and shake vigorously to blend. Add the dry ingredients, beaten egg and vanilla extract to the creamed butter-sugar mixture, and beat together with a silicone/wooden spoon until smooth and evenly blended. 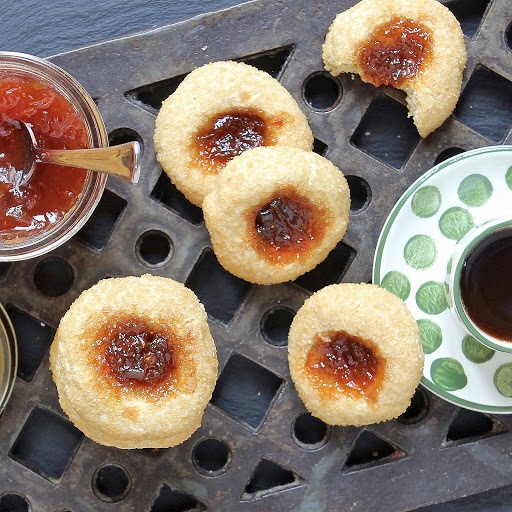 Pour some demerara sugar into a separate bowl, ready for dipping the dough-balls. Take spoonfuls of the dough and roll into balls with your hands, before rolling each in the demerara sugar. Place the dough-balls on the baking paper and using the flat of your thumb, make a deep dent in the centre of each. 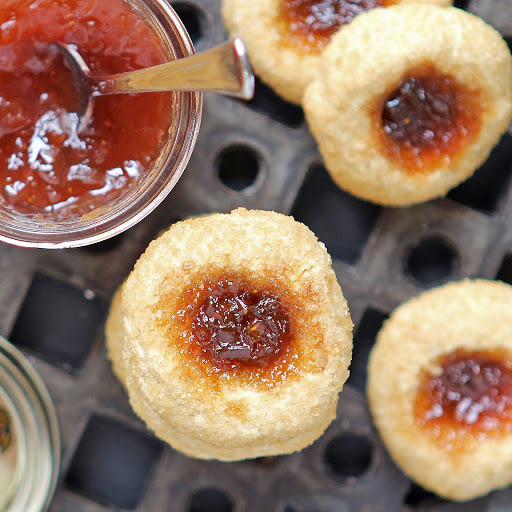 Fill each of the thumb-prints with jam (be careful not to over-fill) and bake for 12 to 15 minutes until the tops are golden and beginning to firm up. Turn off the oven and leave the biscuits in the oven to cool as the oven cools. Once the oven has cooled, remove the cookies and store in an air-tight container. With strawberry season in full flow and the garden rhubarb growing on over-drive, it seems the timing is perfect for finding ways to preserve the summer flavours and to make jam.... 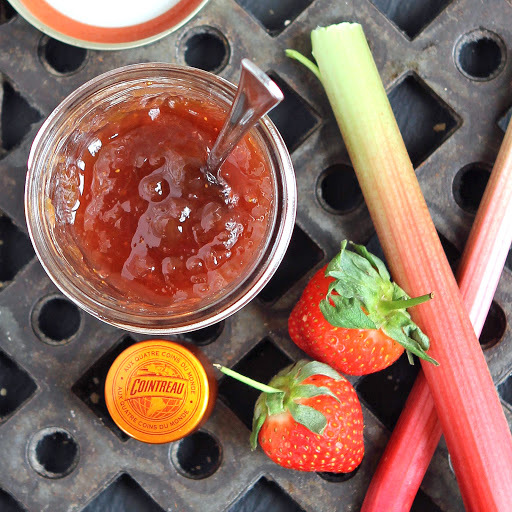 Specifically : Rhubarb, Strawberry and Cointreau Jam. 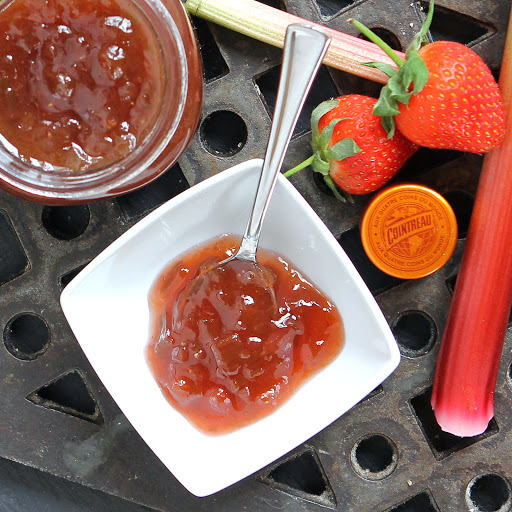 Inspired by Camilla over at Fab Food For All (who is clearly an expert in all things 'jam') and her recipe for Simple Rhubarb & Gin Jam, I seized the pan by the handle and chopped, boiled and stirred my rhubarb and strawberries into jammy oblivion, adding a little hit of Cointreau orange liqueur and a drop of orange extract into the mix. 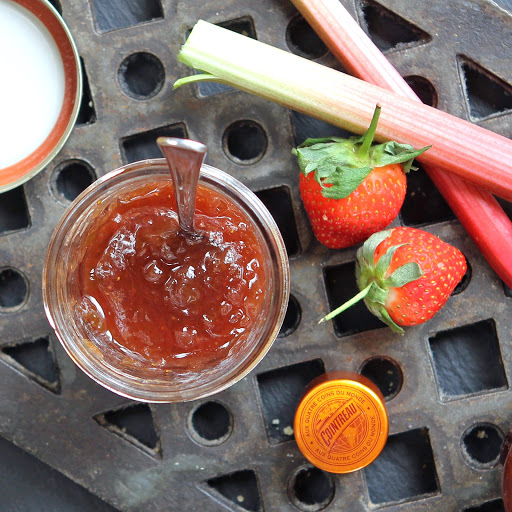 I have never really considered adding liqueur to jam before, but I have to say, the Cointreau (now devoid of all alcoholic content as a result of the heating process), combined with a little extra pure orange extract, added an extra dimension and gave it a slight wave of 'tangy marmalade meets jam' on the palate. Divine! 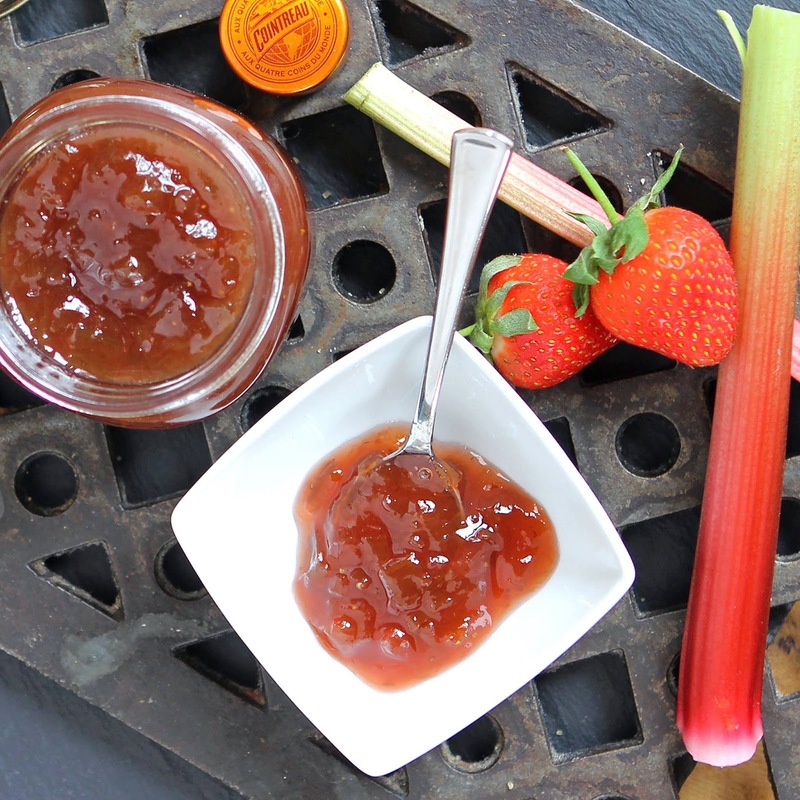 I have previously made Strawberry, Rhubarb and Pomegranate Jam, which was gorgeous, but the weighting for that recipe was very much towards strawberry as the dominant ingredient. For this jam, the star flavour is absolutely the rhubarb... Its tartness offsetting the sweetness of the sugar, but mingling perfectly alongside the distinct fruity sweetness of our deliciously British summer-red strawberries. I just love the rich, almost rust colour that it gives the jam as well. In the past, I have always used a sugar thermometer for accuracy of temperature (I particularly love my Thermapen). Never being one to become skill-complacent however, for this jam I tried the 'wrinkle' technique, which involves chilling a couple of saucers, before dropping a little 'think it's ready' jam onto the surface to set for a minute and then poking the side of the jam drop to see if it 'wrinkles'. It makes all sorts of sense... After all, jam has been around for far longer than thermometers! As you can see, it worked a treat and the resulting jam has the most perfect texture... Thick and set, but still spreadable and almost, but not quite fluid, with deliciously chewy fruity bits running through it. Place your washed, trimmed and cut fruit into a large bowl with the sugar, lemon juice, Cointreau and orange extract. Stir thoroughly and leave for two to three hours or overnight. When you are ready to make your jam, sterilize your jars : Wash the jars in hot, soapy water, rinse with very hot water and then place on baking trays into a cold oven. Turn the oven on to 140 C/275 F/Gas 1 and bring the oven to temperature. Once at temperature, leave the jars in the oven for 20 to 30 minutes, before turning off. Leave the jars in the oven as it cools until you are ready to fill them. Wash the lids in hot, soapy water, rinse thoroughly and then sterilize using boiling water, before leaving to drain. 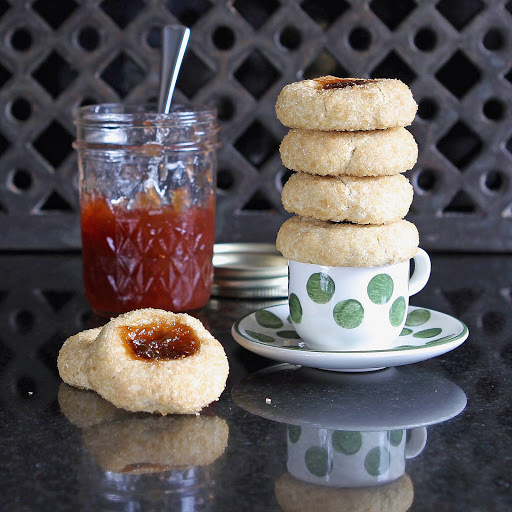 Ahead of time, place 2 saucers in the freezer to chill (ready to test when the jam is done). Tip the fruit mixture into a very large, heavy-bottomed saucepan and gently heat, stirring continually, until the sugar has dissolved completely. Now bring the mixture to the boil, stirring intermittently as the fruit softens, crushing against the sides to release some of the juice. Once boiling, turn up the heat to bring to a rolling boil and allow to boil for about 8 minutes. Keep an eye on it, to make sure it doesn't boil over. If using a jam thermometer, you are wanting the mixture to reach jam-set point (105 C/220 F). If not using a thermometer, remove the pan from the heat after about 8 minutes boiling and place a few drops of the jam on one of the cold saucers from the freezer. Place in the fridge for one minute. Now push the sides of the jam with your finger and if it has formed a gel and wrinkles, the jam is ready. If the jam is still liquid, place back on the heat and boil for a further 2 minutes, before re-testing. Continue this process until the jam is ready, each time using a cold saucer. 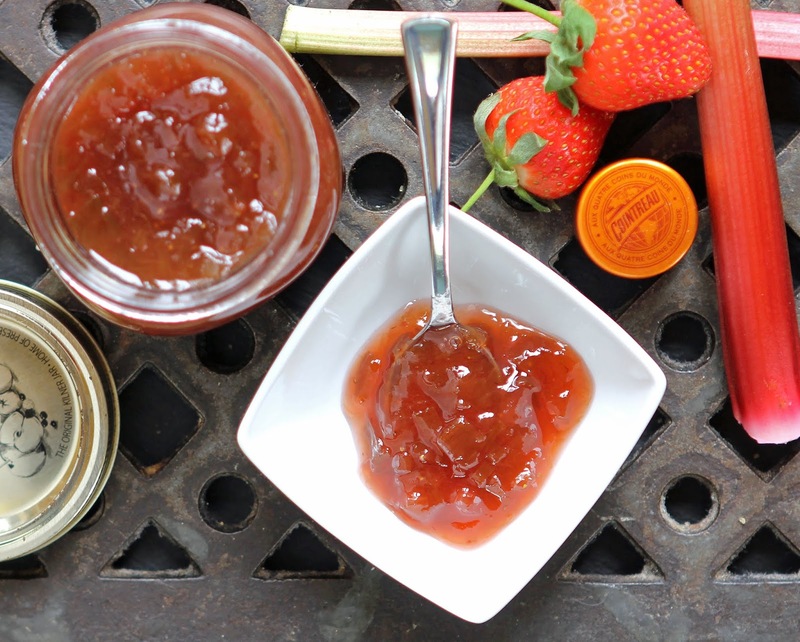 When the jam is ready, pour into the sterilized jars, and seal with the lids immediately, before allowing to cool. 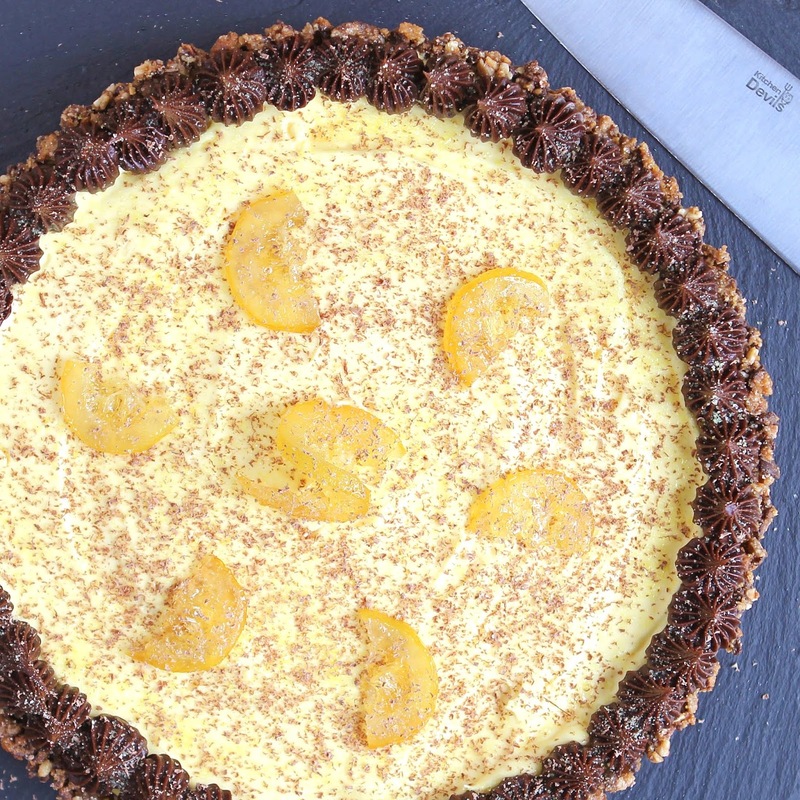 It is a tart that has been on my 'to make' list for ages, inspired by one of those rare gluten free restaurant desserts of a lemon pie that was garnished with a little dark chocolate and left me musing in the depths of my culinary brain. 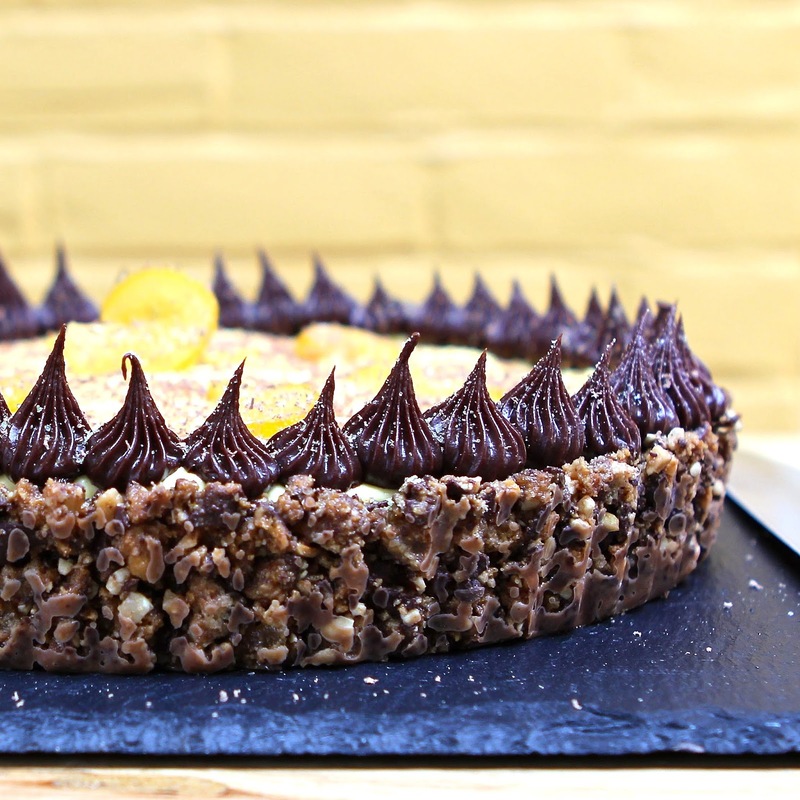 Lemon and dark chocolate has always been one of those pairings which, when I have had it, leaves me wondering why more desserts don't celebrate it. 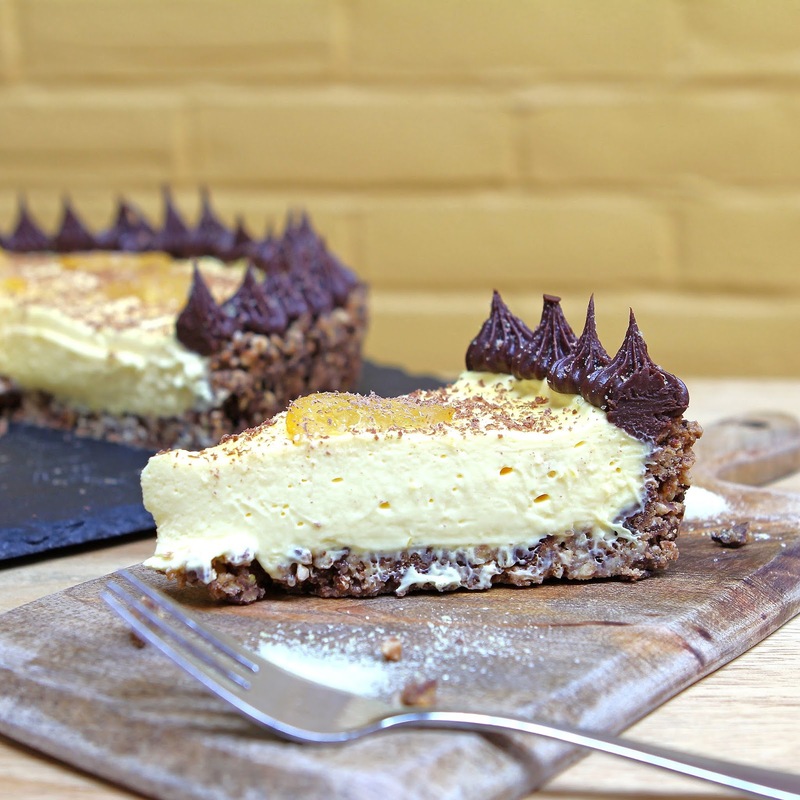 Then of course there is lemon and ginger or dark chocolate and ginger... more popular for sure, but still not 'up there' in dessert menus (gluten free or otherwise). 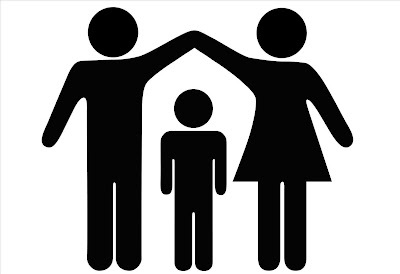 So what would happen if I married all three? This possibility jiggled through the invisible foodie cogs of my head for weeks until I found the sweet spot that said 'this is the one to make'. I knew that the lemon filling needed to be unadulterated as a single element. It had to remain the star of the show, even though it was sharing space with ingredients that should jostle for recognition as worthy co-stars. I settled on a biscuit base made using gluten free dark chocolate and ginger cookies... the ones that have notably chewy bites of stem ginger alongside extra crunchy biscuit, smothered in thick dark chocolate. I used the ones made by Prewetts, but Sainsbury and Tesco also do suitable alternatives. My first attempt at the base was a bit of a disaster. A traditional mixture of crushed biscuit and melted butter, I decided to pre-bake, only to find it collapsing in on itself into brown mush. Doh! Of course it would be brown mush... the chocolate would melt with the heat! It still tasted great though and scooped into a bowl, made an irresistible grab a spoon and scoop treat every time I passed it in the kitchen. Actually, it was a good thing this 'mess' happened... 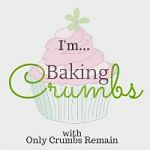 I had originally planned a baked egg-based lemon filling (although wasn't sure whether I should pre-bake the base or not) and I would have been mortified if the pressed biscuit had disintegrated and mooshed with the rest in the oven. Returning to the recipe-development table, I switched to using coconut oil instead of butter to bind the biscuit base... a process which had previously worked really well in my Blackberry-Coconut Chocolate Nobble Cheesecake and avoided further disaster, as well as adding extra crunch. I also diverted from a baked filling to a no-bake version, which made the whole thing simpler and more fail-safe. The result is incredible. Light and dreamy, rich and decadent lemon cream, set against a rim of dark, dense chocolate ganache, encased with crisp chocolatey biscuit shot through with an extra earthy crunch from a sprinkling of chopped roasted hazelnuts. As the biscuit and creams dissolve and dissipate, the firm, warming stem ginger hits the palate... reigniting sensory interest with chewiness and a little heat. 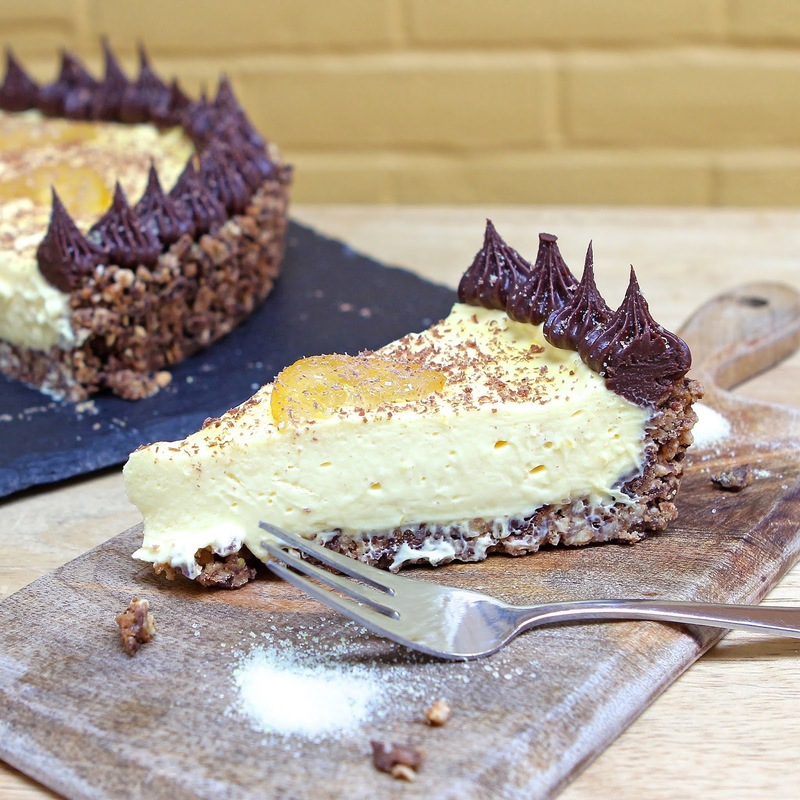 To zing up the lemon just that little bit more, I sprinkled a fine coating of lemon sherbet crystals across the top and embellished with luxurious, tart, home-made candied lemon slices... I figure if a dessert is to be worth the calories (and to be fair, there are quite a lot in here), then it is worth doing exceptionally well. Base : Prepare a 10 inch loose-bottomed non-stick baking tin, by base-lining with baking paper. 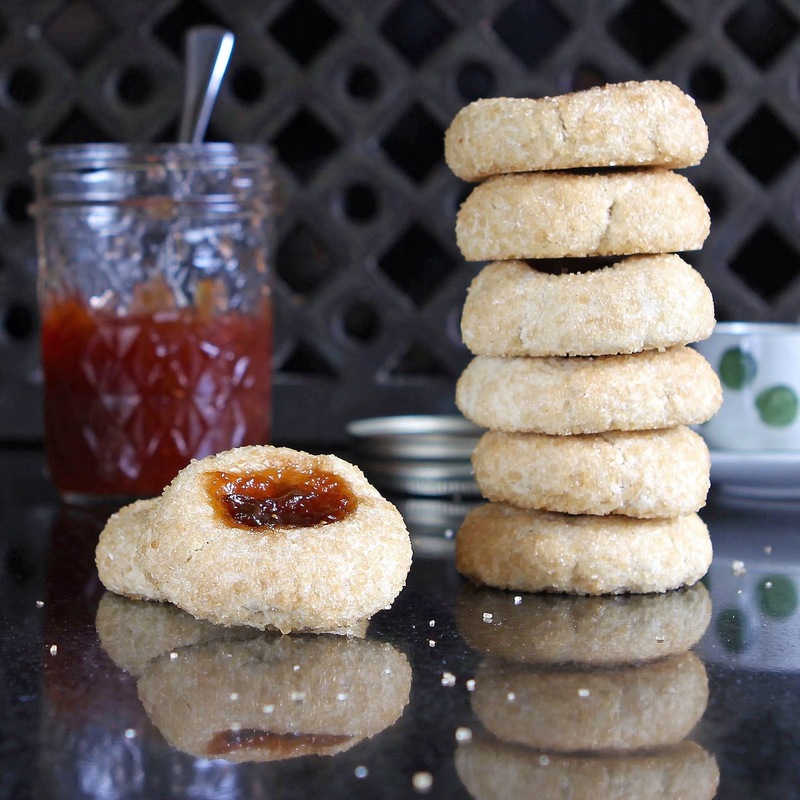 Coarse-crush the biscuits by placing in a plastic food bag and bash with a rolling pin. Melt the coconut oil in a medium-sized bowl in the microwave or in a saucepan over a very gentle heat. Add the crushed biscuits and chopped nuts and stir until evenly coated with the oil. 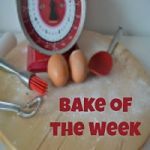 Pour the biscuit mix into the base of the tin and spread across the bottom, gently pushing up the sides of the tin with the back of a spoon until you have an even layer which forms a tart-case. Place in the fridge for 1 to 2 hours to chill and set. Lemon Filling : In a large bowl, beat the double (heavy) cream until it holds its shape in peaks. 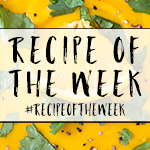 Add the condensed milk, lemon zest and lemon juice and a small drop of lemon food colour (if using) and beat until thick. 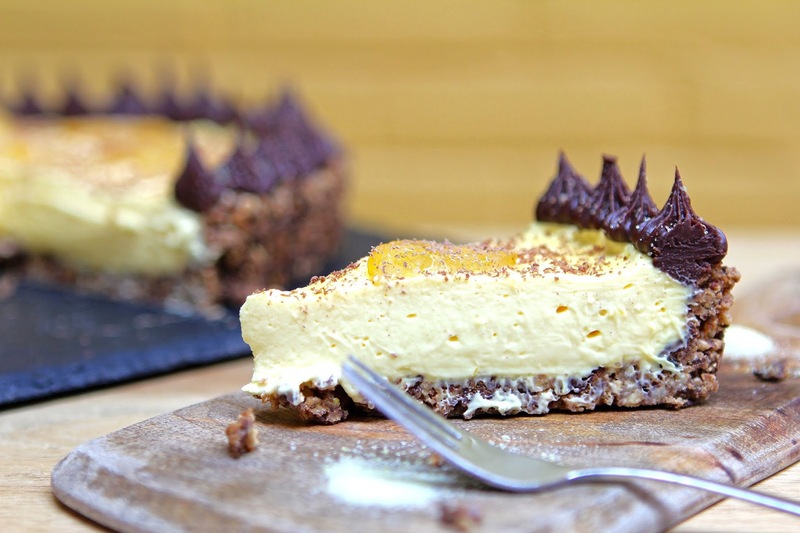 Pour into the chilled tart case and place in the fridge for 3 to 4 hours to firm up. 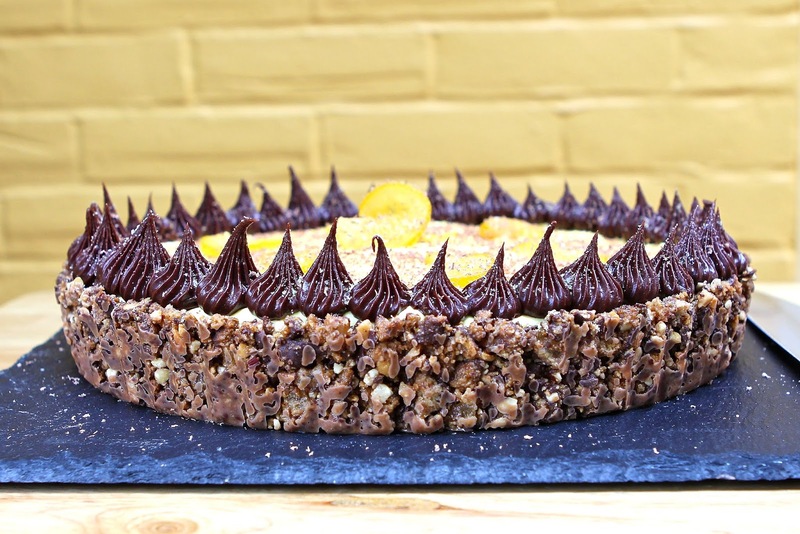 Once ready, carefully remove the tart from the baking tin and place on a serving dish. If the sides have stuck, gently apply pressure to the outside of the tin by squeezing a little and the stuck bits should release. Remove the baking paper from the base before placing on the plate. Ganache : When the filling has been chilled, make the ganache - Place the chopped chocolate in a medium-sized bowl and in a small saucepan, gently heat the cream until it just reaches simmer-point. Pour the cream over the chocolate and allow to sit for 10 seconds, before gently stirring to melt the chocolate and combine. You should end up with a smooth ganache. Allow to cool completely at room temperature, stirring frequently as it cools and thickens. Once the ganache has reached piping consistency, grab a piping bag and with your chosen tip, pipe around the edge. Candied Lemon : Place the water and sugar in a medium saucepan and stir over a low heat until the sugar has dissolved. Now bring to a boil and add the sliced lemon. Coat in the sugar liquid and continue to boil, turning frequently, cooking for about 10 minutes (until the lemons become more translucent). 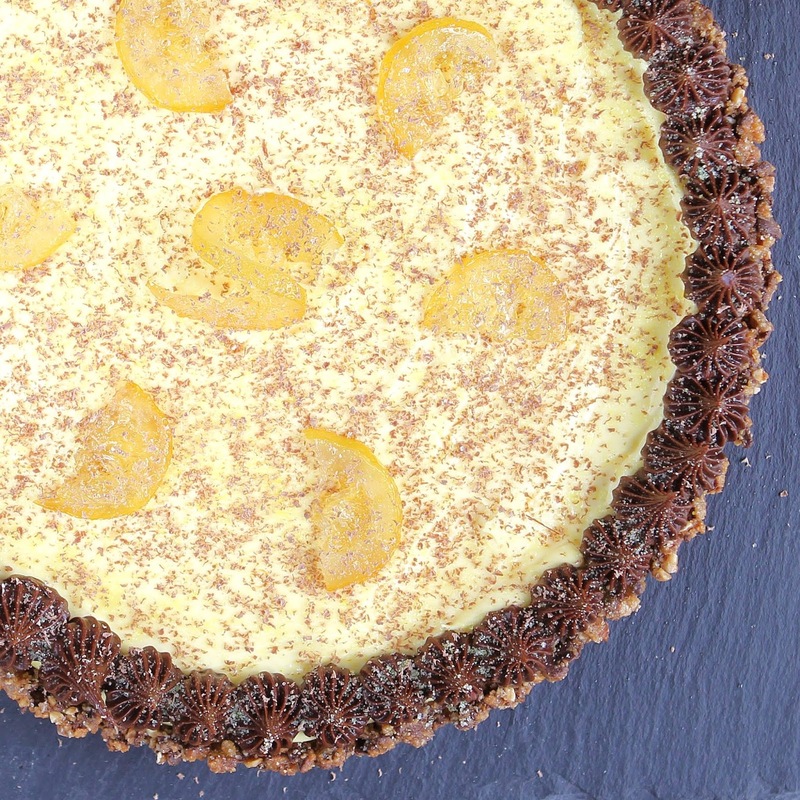 Transfer the lemon pieces to non-stick baking paper to cool completely (separated) before using them to decorate the tart. Sprinkle the tart with lemon sherbet and grated chocolate (optional). Geez... Can you believe it's July already? Where have the months gone? We are at the half-way point of the year and on a downhill slide to the C word! 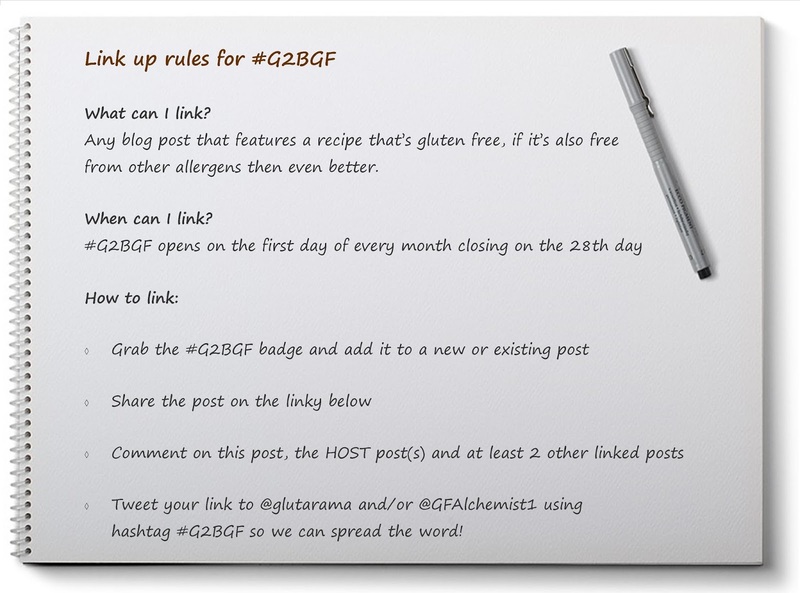 If it's the start of July though, it's back to me for this month's Got To Be Gluten Free (#G2BGF) link-up party. For those of you who are joining up for the first time, the rules are simple... Link up any gluten free recipe (whether you are a gluten free blogger or not) or any post which is specifically about a gluten free issue or service. 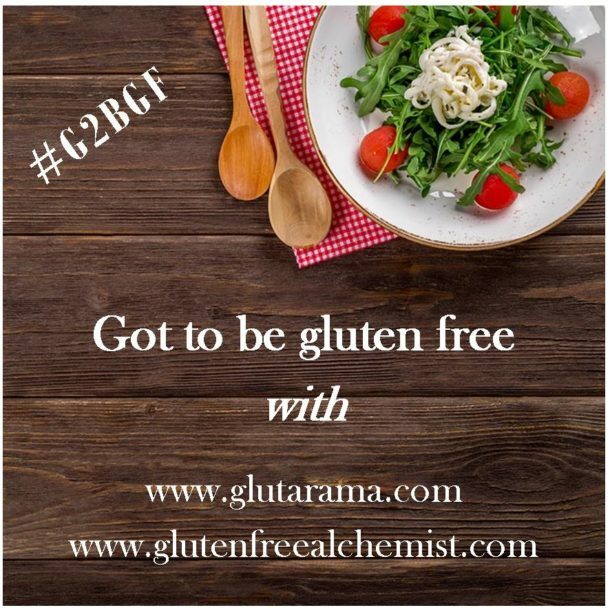 Make sure you link your post to Gluten Free Alchemist and to my lovely co-host, Rebecca at Glutarama and if you tweet your link, tag in @GFAlchemist1 and @Glutarama with the hashtag #G2BGF. 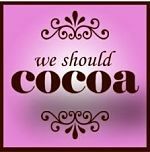 We promise to share the love! 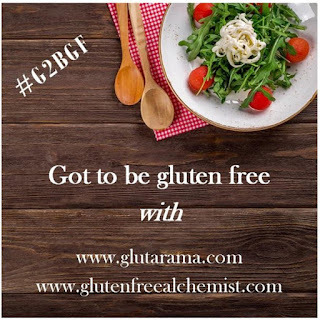 For July, I have a really exciting adition to the Gluten Free Alchemist blog to share with you. I have pulled together my now seven years experience of parenting a Coeliac child and written a series of 'chapters' to share with other parents of what we have learnt along the way. When you first become a Coeliac parent, everything gets shaken up and with 'treatment' being total avoidance of gluten, all the rules of cooking, baking and eating are turned on their head. It's not just in the kitchen either... You have to think about and plan ahead for pretty much every scenario of childhood interaction and activity and your negotiation and challenge skills hit a fast and steep learning curve. 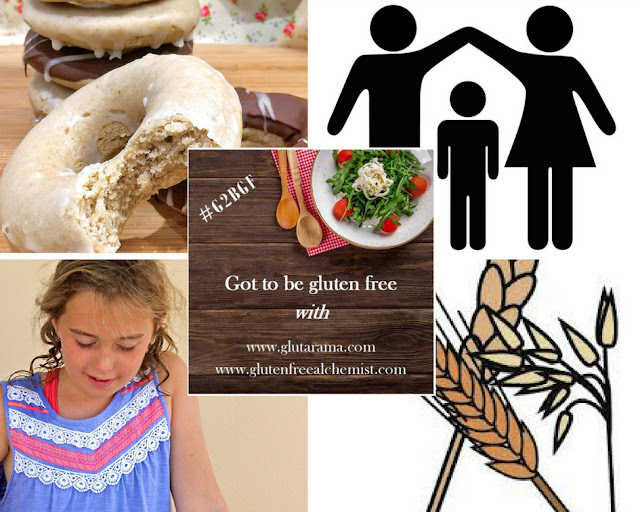 My Practical Guide To Parenting a Coeliac Child can be accessed from the menu bar at the top of this post, with each unique chapter being accessed by the drop-down box. 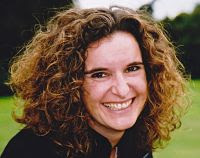 Currently, the Introduction and chapters on Discovering Your Child Is Coeliac and Living with Coeliac : Food - Staying Gluten-Safe are published, but I will quickly be adding to the guide to share our wisdom on eating out at restaurants, managing child care and education, friends, playdates and parties, adolescence and travel. 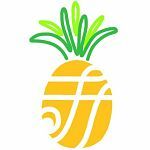 I will let you know when each new section is published via blog posts and social media, but if there is anything else you would like me to cover, just let me know. Please help spread the word, especially if you know any parents of newly diagnosed children out there... 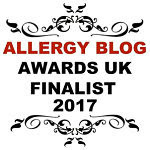 If I can help just one of them feel a little less anxious about what lies ahead and support them through the wisdom of our experience in making the Coeliac childhood navigation process a little bit easier, then I will have done a good job. ... But back to the linky... 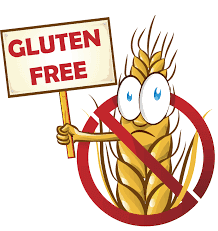 I hope you are all up for a mega gluten-free party this month. Whether you are gluten free or not, have a think about what you are busy making and creating and if it's got no gluten in it, come join us. 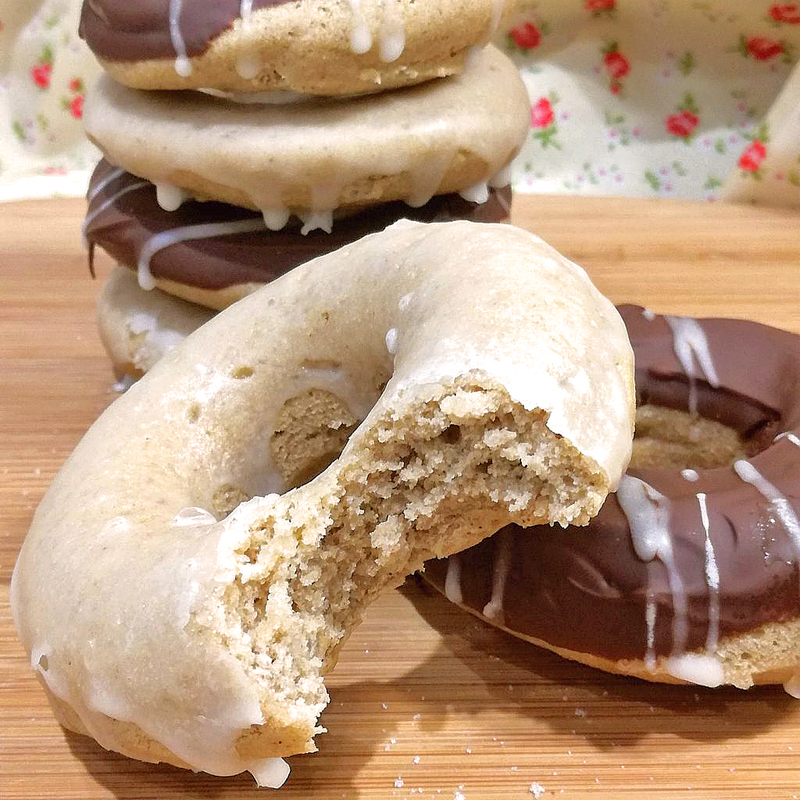 To get the party started, I am sharing one of my co-host Rebecca's most delicious-looking recipes for Baked Doughnuts, which are both gluten and dairy free. If you hop on over and take a look at her blog, you will see that she makes not only these gorgeous ring doughnuts, but some jammy ones too. 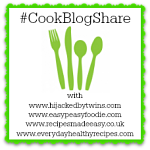 Grab the linky badge here and add to your post, it'll link to our linky main menu so no need to edit - life's too short!